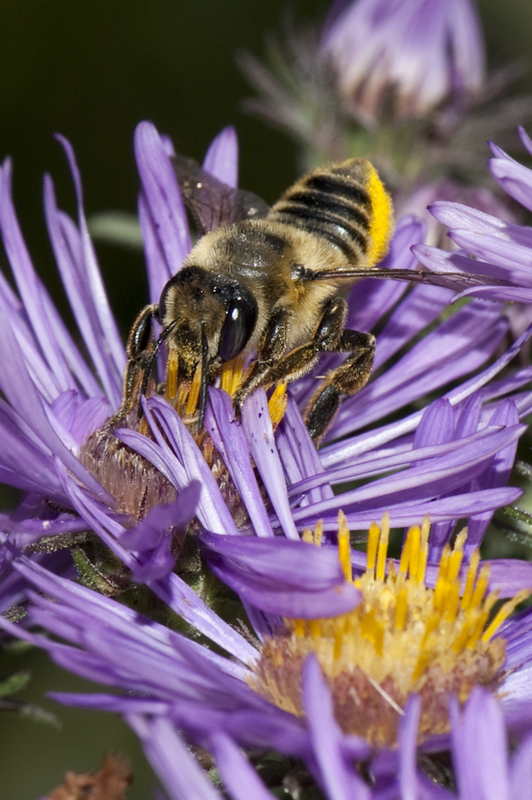 We can help bees by planting flowers, but nesting habitat is important too. Roughly 60-70 percent of bees nest in the ground. You can help them by leaving patches of ground undisturbed and leaving some bare spots. The other 30 percent are cavity-nesting, using hollow plant stems or holes in wood. 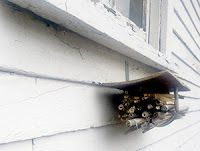 You can make nesting habitat to provide homes for these cavity-nesting bees. There are many pre-made options for bee houses, but often these are more cute than effective. Watch the video at the end of this article to see a bee making its home in a cut-off plant stem! Help with stems from your own plants! One easy and effective way to provide homes for bees is to use dried, plant stems from your garden. Top photo: Hoplitis sp. by Heather Holm. to the side of a garage for stability. and left in the garden. Leave for 2 years. 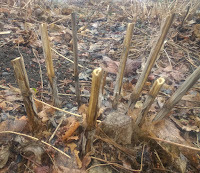 Stems can be left in the ground, or can be bundled together and secured to something so they do not move or fall over. The bundle can be either horizontal or vertical. Try to keep the bundle in a partly-shaded environment and out of windy areas. Maintenance of the stem bundle is fairly straightforward. After the stem has been used and all of the bees have emerged, it is important to replace it with an unused stem. When the bees are finished, then what? Used nests will have a cap at the end made of either mud, leaves, pebbles, or resin. An empty nest will look like the cap has been ruptured. Do not remove the stem if it has an unbroken cap at the end of the stem. There could still be bees developing in the stem. There is one more important point in setting up and maintaining a trap-nest and that is timing. 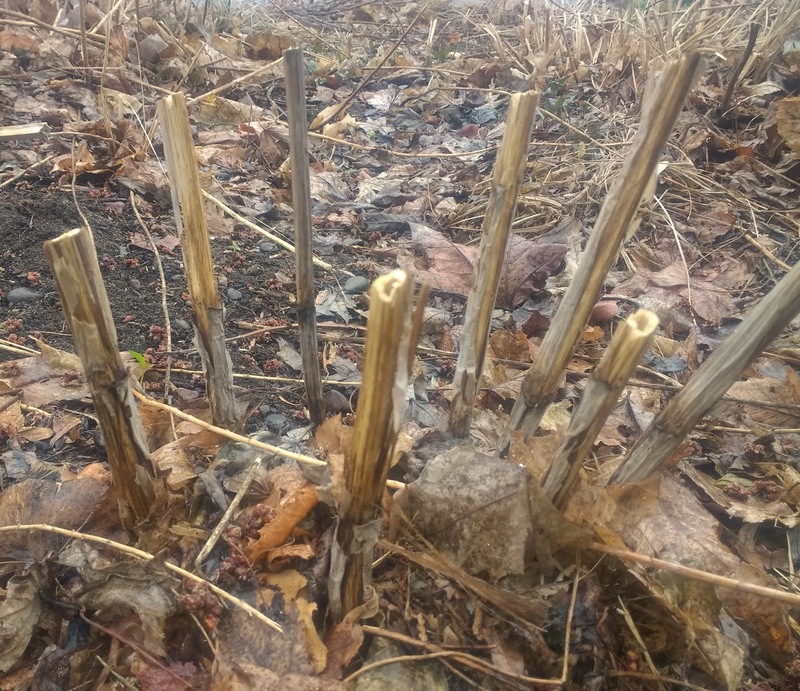 Stems should be set out in the spring and left through the winter until the next summer, so the bees have time to develop and emerge. Small carpenter bee, Ceratina sp. chewing into a stem filled with pith. 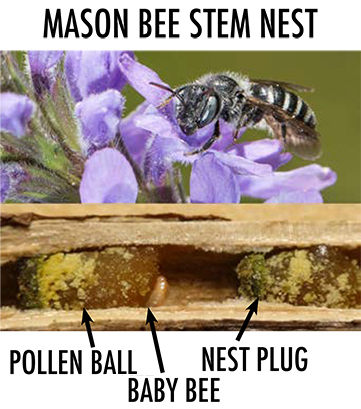 All-in-all, these stem bundle nests are a great way to provide habitat and observe bees in your garden! Watch a bee at work! 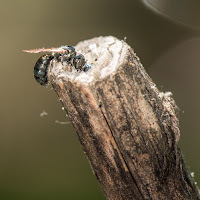 In this video, you can watch this bee dig out the pith of a stem as it creates its own nest. Video courtesty of Dave Crawford.